Well, thats so not true! OK sometimes it does take a big chunk out of my day, maybe out of my week - like over the last week when I was reviewing them to give you guys our fav's and now yet another charming online publication has been launched - so I have to review that one don't I? - it's only fair! 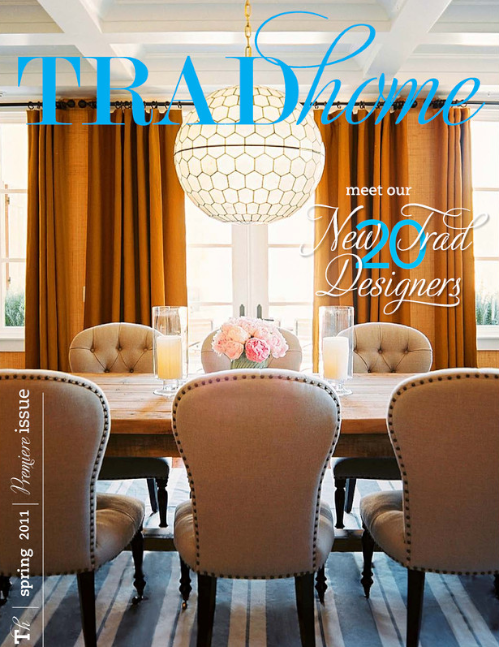 Fresh in the inbox this morning was the news- Trad Home has launched! 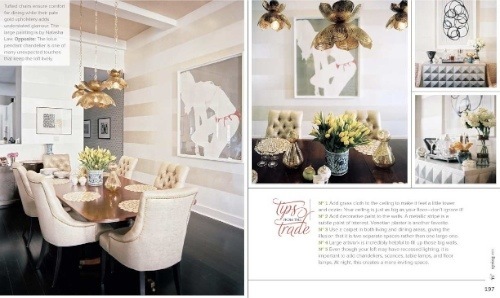 Trad Home is a collaboration of Lonny and American print publication Traditional Home with an aim to show that traditionalism still has relevance in today's world -and I think it's the perfect time for such a statement. Not only is traditionalism alive and well but we have seen it have a new lease of life with so many designers re-embracing traditional construction, manufacturing and decorating methods in the development of new designs, a 'back to the roots of their crafts' type trend. And the eclectic mix of styles that makes up todays modern interior celebrates traditional in many ways. So it was with anticipation that I clicked the pages of Trad Home to see if they had managed to capture this movement. The first thing I am loving is the video - Jonathan Adler vs. Charlotte Moss - one of the reasons I LOVE online mags - you cant do this in print! The video captures the personality of the two designers as they playfully but simply explain their take on traditional design and how they incorporate it in their own individual style . 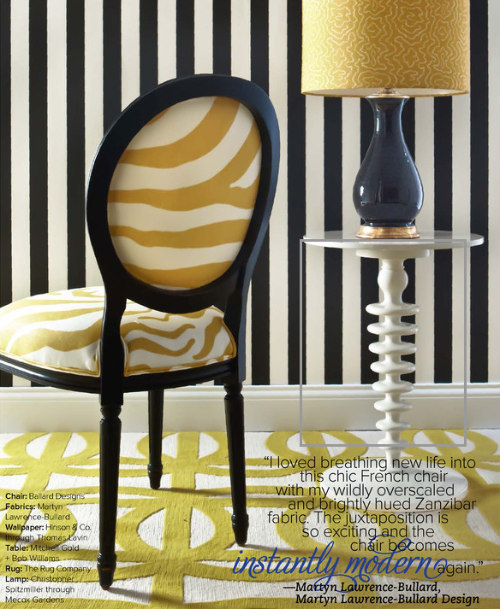 There is a fab feature on the Louis XVI chair - I think this chair is one of the most classic dining or side chair that works in almost any space so I loved the modern makeover given by the 6 designers to this much loved icon. But of course the highlights of the magazine are the homes in the feature - 20 new traditionals. Beautiful, diverse, quirky and luxurious - each one embracing traditional in the designers own style and all of them something to admire and be inspired by.